Empowering consumers and flexible infrastructures work hand in hand to create an environment more apt to meet guidelines. The final rule for the Centers for Medicare & Medicaid Services’ accountable care organization (ACO) definition runs 189 pages in the Federal Register, but any healthcare industry veteran knows the concept is quite simple and has been a goal of sorts for at least 20 years. The question now is whether there has there been enough change in the financial, clinical, and technical landscape to make ACOs succeed where other approaches—such as network gatekeeper providers and capitation—to cost-effective “accountable” care have had either mixed results or failed miserably. Cynthia Burghard, International Data Corporation research director, believes the time is right for ACOs, thanks to the availability of rich technical resources and a pressing need to avoid the critical financial ramifications should another attempt at collaborative and accountable care fail. The drive toward ACOs in both public and private delivery/payment models dovetails quite well with two other overarching healthcare mandates: meeting federal meaningful use requirements and implementing ICD-10. As organizations move to satisfy meaningful use requirements, they will, by definition, be strengthening interorganizational communication capabilities. As ICD-10 eventually becomes the coding and claims standard, both payers and providers are discovering that mapping ICD-9 to ICD-10 and testing the new codes vs. the old ones to achieve revenue neutrality is best achieved in a climate of collaboration rather than isolation. Fast forward 20 years from those early days of reform and so much has changed. 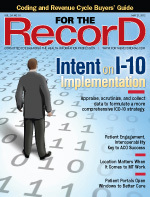 The federal government has provided the kick-start the market needed to embrace EHRs; the impending adoption of ICD-10 will supply much more granular clinical documentation; and the effort behind the National Health Information Network and regional health information exchanges (HIEs) appears to be gathering momentum. However, two vital unknowns in those elements have the potential to either confirm the best possible scenario for ACOs or drive the concept aground: How will HIEs find a way to justify an investment in their future? What role will patients play in the structure of ACOs? One example of such technology, Van Valkenburg says, may be a Web portal with multiple functions, such as biometric monitoring interfaces and communication capabilities. There are several issues that need to be addressed before this strategy can come to fruition. Both Fera and John Cuddeback, MD, PhD, director of medical informatics for the American Medical Group Association’s Anceta initiative for data-driven shared learning, point out that the industry is still struggling to find a sustainable business case for HIEs, and the drive toward third-party PHRs, such as Google Health and Microsoft HealthVault, has received a mixed reception. Complicating matters are the potential incompatibilities that may exist between the goals of combining care coordination across covered populations and individualized courses of treatment with all the subtleties that reside in a clinician’s notes. To bridge those concerns, providers and IT vendors will have to start thinking creatively. Chris Weiss, president of Dynamic Clinical Systems, manufacturer of an integrated patient-reported outcomes platform, says the company’s developers have been able to program the platform so that 80% of questions that otherwise may generate free text answers can be translated into some sort of structured input. In addition to the fact that structured data are more easily integrated from system to system, he says the form factors into which data are entered also play a role. For example, when the digital content services platform was first introduced, patients used tablet devices “and we didn’t want them to have to type responses,” Weiss says. Facilitating practice-to-practice data transfer will be crucial to meeting the expectations of the ACO concept. However, the scope of traversing disparate practices is daunting. Cuddeback refers to a 2009 study published in the Annals of Internal Medicine in which the authors found that the typical primary care physician needed to coordinate care with 229 other physicians in 117 other practices. For the cohort of patients with four or more chronic conditions, care needed to be coordinated between 86 physicians in 36 practices. Grosser says other sources of healthcare-related data, such as pharmacy purchases and dental care records, can also be crucial components of a patient’s profile. Direct communication with patients, whether it’s through a digital monitoring application that uploads data or via surveys and messages, must be a priority, she notes. Platforms considered well outside the formal definition of clinical data, such as exercise applications, can factor into a patient’s wellness, which, in essence, ACOs are designed to encourage, Grosser says. For example, in early April, Microsoft, the City of Los Angeles Department of Aging, application consultant Get Real Consulting, and St Barnabas Senior Services, among others, announced a partnership that encourages seniors to get active by using Microsoft’s Kinect gaming technology and logging vitals such as blood pressure and glucose levels into HealthVault. Moreover, that healthy young patient is also very likely the conduit to their higher-risk parent. For example, many children of elderly patients will help send in the results of self-administered tests such as blood pressure readings and glucose monitoring, Grosser says, noting that they’ll also lend a hand with answering patient survey questions and scheduling online appointments. “There may be education that comes to the patient from their caregiver that would be good for both patient and child to go through to understand,” she adds. With the panoply of new data sources, providers should expect to meet patients with very different ideas of what kind of care they need. For example, a patient who exercises regularly and has high levels of both HDL and LDL cholesterol may balk at taking a statin that may be de rigueur for more sedentary patients. Cuddeback says there are ways to address these situations, citing Riverside Health System in Newport News, Virginia, as an example. — Greg Goth is a freelance journalist from Oakville, Connecticut, specializing in technology and healthcare policy issues.